Exclusive limited edition available now. Sync your favorite music and watch the flames react in-time with the beat. A fascinating conversation piece! 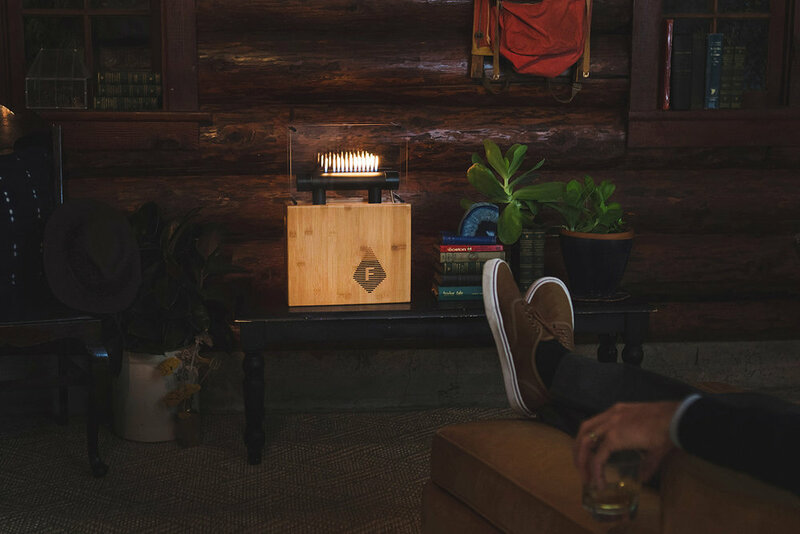 A self-contained system finished in sustainable bamboo and industrial-grade aluminum, Fireside Audiobox pleases the eye, with or without flames. 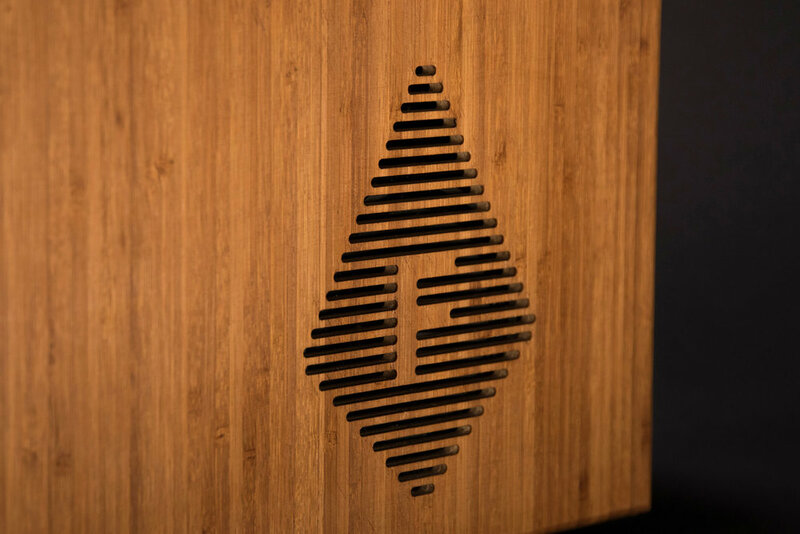 "My goal with the aesthetics of the Audiobox was to ensure that it is a beautiful addition to your home as well as a conversation starter. It's elegant and intriguing, even when not in use; a functional piece of art."